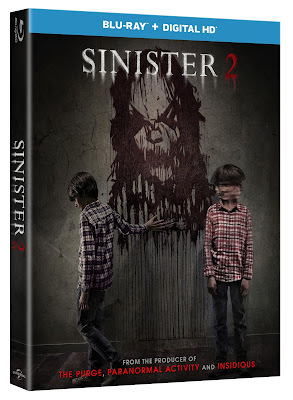 Today marks the day the Sinister 2 hits Blu-ray and DVD from Universal Home Entertainment. The sequel, which is also available on Digital, follows Ex-Deputy So & So as he investigates the gruesome series of deaths that have plagued many families, including the Oswalt's from 2012's Sinister. As you may expect, it doesn't take too long for things to take a turn for the nasty! Thanks to the fine folks at Universal and Thinkjam we have a shiny new copy of the Blu-ray to give to one lucky reader! To be in which a chance of winning Sinister 2 on Blu-ray, just shoot an email, with Sinister as the title, to judefelton@hotmail.com. Please include your preferred name and mailing address. Contest is open to residents of North America and is limited to one entry per person. One winner will be drawn at random on Tuesday 19th January, 2016. Good luck! !